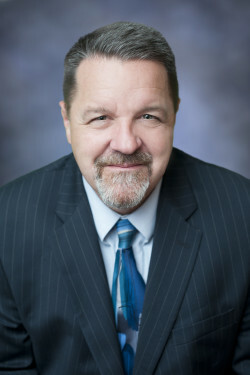 Attorney Manning is a graduate of Bishop Stang High School (‘79), Salve Regina College (‘83), and Western New England College School of Law (‘87). He has been a member of the Massachusetts bar (state and federal courts) since 1987. In 1987 Attorney Manning returned to New Bedford and worked as an associate at a local civil litigation firm. In 1992 he opened his own office for the general practice of law. Attorney Manning represents clients in all aspects of civil and criminal trial work, concentrating in the collection of consumer and commercial accounts. Attorney Manning represents creditors, large and small, in the pursuit of unpaid accounts through pre-judgment security (real estate attachment; trustee process; etc. ), civil litigation in the District and Superior Court; and post-judgment enforcement (real estate levy/sale; wage attachments; supplementary process; etc.). Attorney Manning also assists clients in the repossession of secured collateral (including real estate foreclosures). In addition to collection matters, Attorney Manning also represents clients in a wide variety of personal and business matters, such as: evictions and other general landlord/tenant matters; personal injury matters (auto accidents; slip and falls; etc. ); general business law (including the formation of entities; business disputes; contract preparation and review, etc. ); the probate and administration of estates; municipal law (including zoning matters); the preparation of wills, trusts, and power(s) of attorney; asset protection; criminal defense matters in the District Court; and general civil trial representation in the District, Housing and Superior Court (plaintiff and defense). Attorney Manning resides in Rochester with his wife Sandra and has two sons, Brendan and Ryan. He was elected treasurer of the New Bedford Bar Association in 2016.